Looking for some fresh The Division 2 keychains to up your back bling game? The Division 2 is a remarkably po-faced game for the most part, and you won’t find too many light moments while exploring post-apocalyptic Washington, D.C. Thankfully, there’s plenty of harmless fun to be had when it comes to playing dress-up with your very stern-faced Division Agent. There is one piece of equipment that stands head and shoulders above the rest though: the humble backpack keychain. A number of these trophies are hidden throughout the open world, so keep following our guide to find 12 hidden The Division 2 keychains. Alright, maybe there are more practical bits of kit to grind for when playing The Division 2. However, these keychains are pretty neat, and help you stand when squadding up for PvE and PvP. After all, when the world has gone to hell in a handbasket, who wouldn’t want a dangly piece of back bling to help them through the dark times. There are heaps of different backpack trophies in The Division 2, but there are 12 that are very easy to find if you know where to look. Spray Painted Bobble Head: You can find this little chap in the District Union Arena stronghold as a random drop from the boss called Diesel. It’s a pain, but if you keep rinsing and repeating this stronghold you’ll get this rare The Division 2 keychain eventually. Arm patch and Dog tags: Another stronghold one. This time kill the last boss in the True Sons stronghold repeatedly until it drops. Lincoln Bust: During the Lincoln Memorial main mission you can find this collectible in a gift shop about halfway through the level. Traffic Cone: You get this The Division 2 keychain as a reward for completing all of the contaminated zones. Just keep an eye out for them as you journey around the city and make sure that while you are there you get all of the intel items from each mission. Space Shuttle: This little Space Shuttle comes from inside the larger Space Shuttle that crashes through the roof in the Air and Space Museum mission. Have a look in the cockpit to find this backpack trophy. Skeleton: This is another one that is very close to a larger version of itself. During the DCD Headquarters mission, you can find it in the morgue. After you have jumped down an elevator shaft explore the area with the human skeleton model, and you will find it. Plushie Hippo: You can find this hippo plushie nestled in a box on the roof of the Theatre Settlement once you have upgraded it twice. Gavel: You get this one as a reward for rescuing the President during the Bank Headquarters main mission. Plushie Flower: Simply upgrade the Campus Settlement three times. You will find it near a flower bed above the stage. Gold Bar: You can find this little nugget of joy in the vault during the Bank Headquarters main mission nestled away in a deposit box. Do some searching once you reach the vault section and you should come across it. Blood Vial: Not a reward for completing Bloodborne but found in the Outcast stronghold in a dresser just before an underground tunnel. Hunters Axe: Also not a Bloodborne reward. Kill of the hunter NPCs and horde the keys they give you. You can then open up the Ivory chest in the White House. There are also a few The Division keychains you can only acquire through playing the first game or via specific pre-orders. Teddy Bear: A pre-order bonus. So, a bit late if you don’t already have it, unfortunately. Capital Building: Go back in time and take part in the Open beta. US Flag: Simply achieve the highest possible Shield Tier in the original The Division. Supply Crate: Go back in time and dabble with the Dark Zone in the Open beta. And there you have it, The Division 2 keychains, where to find them, and all the rest. 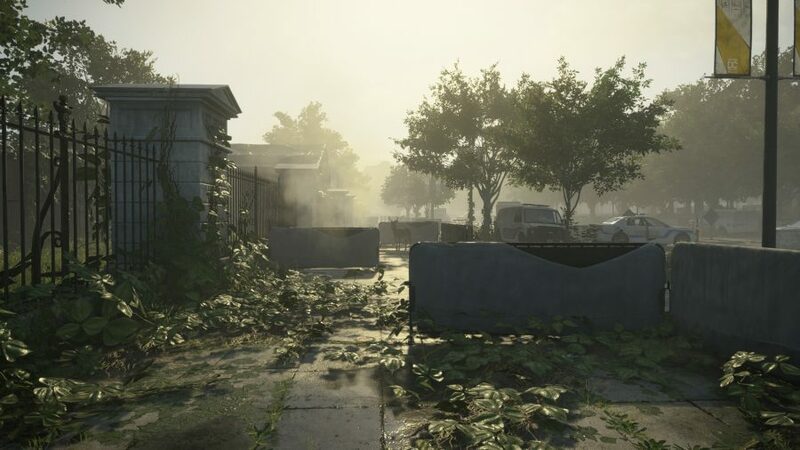 If you’re still on the hunt for more, though, you can find The Division 2 hunter masks locations over yonder. 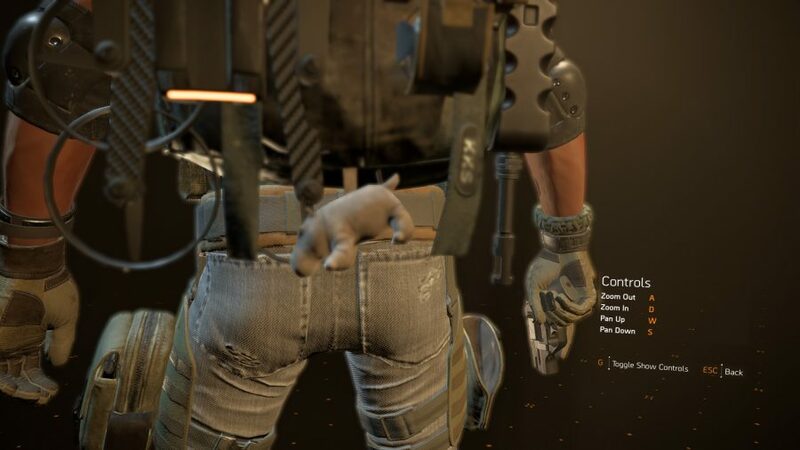 Or, if you’re into something more mobile, you could also get into post-apocalyptic The Division 2 animal photography. Either way, Massive Entertainment’s Washington setting is stuffed with wonderful collections to go and find. So if you fancy putting your gun down and exploring, there’s more than enough for you to do.